If you are looking for parts for your car or a vehicle that you can restore, why not consider buying a salvage car? New parts can be quite expensive and new cars even more so; however, salvage vehicles can be purchased at a mere fraction of the price of new. Many cars labeled as total losses run great and have only minor cosmetic damage. What is Considered a Total Loss? When cars become involved in accidents and insurance companies determine that their repairs will cost more than the cars are worth, they label them as total losses. However, in many of these cases, the cars still run perfect! They may have various cosmetic problems though, such as dents, scratches, broken headlights or varying degrees of water damage. Their Loss is Your Gain! 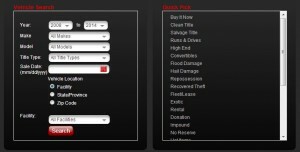 As you can see, you can greatly benefit from buying a salvage car that has been labeled as a total loss. Whether you are looking for a car to get you around town, a vehicle to restore or a car to use for parts, a salvage auction site can help. Furthermore, not only can you find modest vehicles listed on an auction site, but you will also find a selection of classic and high-end cars as well. You may be hesitant to purchase a vehicle online, as you are not sure about its history. Do not fret! Salvage auction sites like http://www.salvageautosauction.com maintain a thorough history of every vehicle they have listed. Thus, you can be sure that you will know about any necessary repairs before you make your purchase. Buying a salvage car is a great way to save money and obtain a good-running vehicle. As stated above, since many of these cars have been labeled total losses due to minor damage, you can significantly benefit when you choose to shop from a salvage car website.